Tony Stewart has withdrawn from the Watkins Glen NASCAR Sprint Cup race following his involvement in a fatal sprint car incident on Saturday night. Kevin Ward Jr died after he was struck by Stewart's car during an event at Canandaigua Motorsports Park. The two drivers had collided on the previous lap, and 20-year-old Ward was on the track gesticulating at Stewart during the subsequent yellow when he was hit. Despite initially indicating on Sunday morning that Stewart would race as planned in the day's Cup round, Stewart-Haas Racing vice president of competition Greg Zipadelli announced three hours before the start that the three-time series champion was pulling out of the race. Regan Smith will replace him. "We were talking last night and through the night, and we gave Tony some time to sleep it," said Zipadelli. "This morning he feels strongly that this is the right thing to do. "We at Stewart-Haas Racing strongly support it and agree with it. "It's a difficult time for all parties. There's not a lot we can do. The only thing we can do is what we feel is right." Smith is currently second in the Nationwide Series and will be making his first Cup appearance of 2014. The County of Ontario Sheriff's office said Stewart was co-operating fully with its investigation into Ward's death. 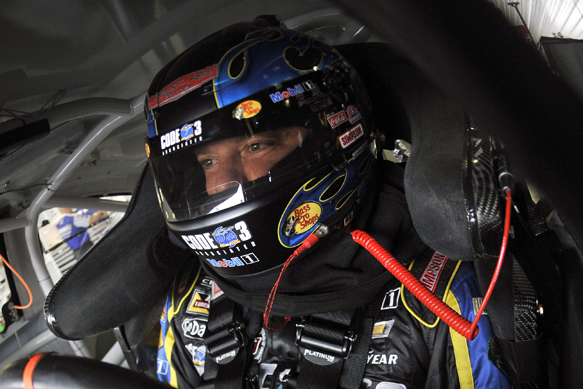 In an official statement, NASCAR backed Stewart's decision to miss the race. "Our thoughts and prayers go out to the family, friends, and fellow competitors of Kevin Ward Jr," it said. "We support Tony Stewart's decision to miss today's race and we will continue to respect the process and timeline of the local authorities and will continue to monitor this situation moving forward." "There aren't words to describe the sadness I feel about the accident that took the life of Kevin Ward Jr," he said. "It's a very emotional time for all involved, and it is the reason I've decided not to participate in today's race at Watkins Glen. "My thoughts and prayers are with his family, friends and everyone affected by this tragedy."